Litter is waste material dumped in public places such as streets, parks, picnic areas, bus stops, and near shops. The accumulation of waste threatens the health of people in residential areas. Waste decays, encourages household pests, and turns urban areas into unsightly, dirty, and unhealthy places to live in. The following measures can be used to control land pollution. Anti-litter campaigns can educate people against littering, organic waste can be dumped in places far from residential areas, and inorganic materials such as metals, glass, paper, and plastic can be reclaimed and recycled. One of the main factors influencing fast generation of municipal sewage and garbage and agricultural, commercial, and industrial wastes is population growth. The world human population has increased tremendously, and there has been phenomenal urban growth due to the migration of rural-area dwellers to urban areas. The larger the population, the larger the wastes generated and the greater the pollution. Pollution becomes even more pronounced when the population is crowded into a smaller space. The sources of domestic wastes are garbage, rubbish, and ashes. Municipal wastes emanate from bulky wastes, street refuse, and dead animals. Municipal solid wastes are wastes collected by private or public authorities from domestic, commercial, and industrial sources. No two wastes are the same. The wastes generated within a municipality vary widely depending on the community and its level of commercial venture. 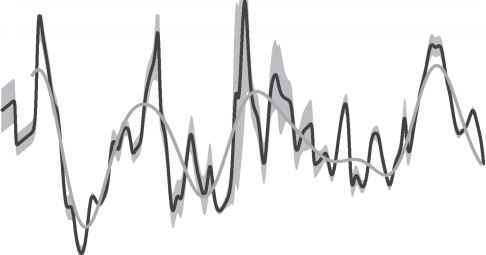 The data on waste will depend on the level of sophistication of the waste management operation. Domestic waste from a house will vary from week to week and from season to season. Waste varies from socioeconomic groups and from country to country. In most cases, the number of refuse dumps decreases with increasing distance from the city center. Other factors that influence the distribution of solid waste dumps in cities are distance from main markets, positions of residential houses, commercial and industrial centers, and topographic characteristics of the city that determine accessibility by vehicles. Land pollution occurs in many forms. Some of the sources of land pollution are agricultural, commercial, industrial, military, and from the general public. 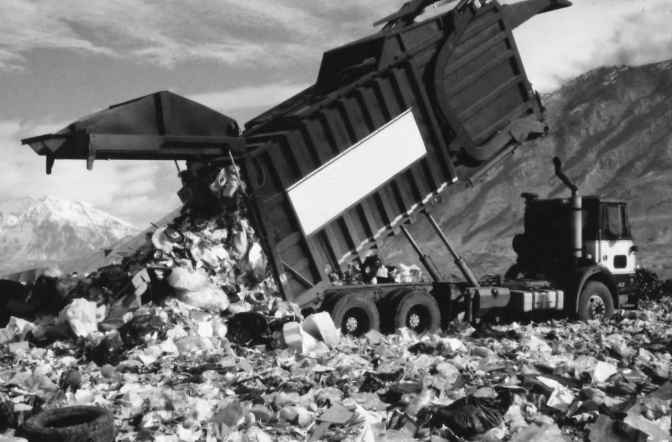 About half of the waste is disposed of in landfills. extent of not supporting plant and animal life. Land pollution leads to the uptake of pollutants by plants, thereby introducing the pollutant to the food chain. Garbage or trash is a component of municipal solid waste, which includes all of the wastes commonly generated in residences, commercial buildings, and institutional buildings. Municipal solid wastes consist of such things as paper, packaging, plastics, food wastes, glass, wood, and discarded appliances. Similar kinds of wastes generated by industrial facilities also are part of municipal solid wastes. The additional wastes generated by manufacturing processes, construction activities, mining and drilling operations, agriculture, and electric power production are referred to as industrial wastes. The environmental threats posed by municipal and industrial wastes are varied. Though defined as nonhazardous wastes, many of these wastes are capable of harming human health and the viability of other living species. They contain discarded hazardous wastes like batteries, paints, solvents, and waste motor oil, items that add trace metals and organic compounds to the inventory of potential contaminants in soil. Environmental pollution by industrial wastes has become a threat to the continued existence of plants, animals, and humans. Industrial pollution contains traces of quantities of raw materials, intermediate products, final products, coproducts, and by-products, and of any ancillary or processing chemicals used. They include detergents, solvents, cyanide, trace metals, mineral and organic acids, nitrogenous substances, fats, salts, bleaching agents, dyes, pigments, phenolic compounds, tanning agents, sulfide, and ammonia. Many of these substances are toxic. Because of the larger volumes of waste materials, landfills are the preferred method of waste disposal. The pollutants arising from a particular industry are different from those arising from another industry. The waste generated differs from industry to industry. The level of pollution arising from the industry depends on the nature and magnitude of its wastes. Pollution by trace metals occurs largely from industries, trade wastes, agricultural wastes, and automobile exhausts. These wastes are large in magnitude and varied in types. They include large quantities of raw materials, by-products, coproducts, and final products. Mining is a major area where metal pollution occurs. Apart from natural occurrence such as erosion, metal pollution on land is a direct result of anthropogenic activities. The dumping of old or damaged vehicles on land occurs especially in developing countries. Also, the dumping of obsolete or dangerous military wastes on sites is another source of pollution. Apart from trace metals, the wastes contain organic materials, biological and chemical warfare explosives, pesticides, solid objects, and other materials peculiar to military operations. Trace metals in soil also can enter the food chain via uptake by plants and vegetation that are subsequently consumed by animals and humans, with deleterious consequences. Land disposal sites serve as breeding grounds for disease-carrying organisms. Pollution from agricultural practices is due to animal wastes, materials eroded from farmlands, plant nutrients, vegetation, inorganic salts, and minerals resulting from irrigation and pesticides that farmers use on their farms to increase agricultural yield and fight pests and weeds. Agricultural wastes are made up of unwanted parts of crops during harvesting season. Examples are maize sheaves and cobs, maize stalks of guinea corn, millet and rice and their chaffs, yam vines, cassava stems, and yam and cassava peelings. Studies have shown that groundwater can be contaminated through seepage by leachate arising from solid wastes dumped on the ground. Land application of wastes is the most economical, practical, and environmentally sustainable method for managing agriculture wastes, especially animal wastes. Application of agricultural wastes to the land recycles valuable nutrients and organic matter into the system from which they originated. Land application can also be an effective component of management strategies for other organic wastes like food processing wastes. Radioactive wastes are peculiar and dangerous. Their harmful effects on living organisms are induced by radiation, rather than by chemical mechanisms. They also remain dangerous for several years. Radioac tive wastes are products of usage of nuclear energy. An example is the mining of uranium ore and its processing into nuclear fuel, which is used for electric power production. Power plants may also be radioactive. The environmental impacts of nuclear waste vary with the nature and form of the waste material. The most dangerous of these include the spent fuel from nuclear reactors, as well as the radioactive liquids and solids produced from any reprocessing of spent fuel. This high-level waste is characterized by the intensity of its radioactivity and long half-life. Death from exposure to intense radiation can occur, depending on the intensity and duration of the exposure. Human exposure can occur through inhalation of radioactive substances and ingestion of food containing radioactive materials. Thousands Have Used Chemicals To Improve Their Medical Condition. 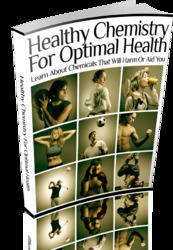 This Book Is one Of The Most Valuable Resources In The World When It Comes To Chemicals. Not All Chemicals Are Harmful For Your Body – Find Out Those That Helps To Maintain Your Health.